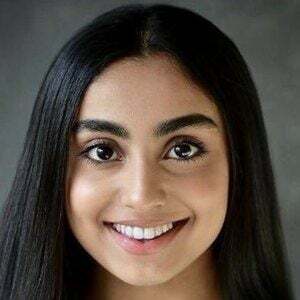 Brief Degrassi: The Next Generation alumnus who landed her breakthrough role on the 2014 Nickelodeon series Max and Shred. She later began starring as Amy in the Hulu series Holly Hobbie. She took piano lessons at the Royal Conservatory of Music when she was just 4 years old. She has always loved singing, acting and dancing and her family nickname was Little Drama Queen. She appeared in the film Isabelle Dances Into the Spotlight. She won a 2014 Broadway World Award for Best Female Performer in a Featured Role for her part as Cossette in the Cameron Macintosh 25th anniversary of Les Misérables. She was born and brought up in Toronto where she lives with her parents and her older brother and sister. She stars alongside Emilia McCarthy, Jonny Gray and Jake Goodman in Max and Shred.